“The government faces difficult choices”, Finance Minister Gigaba said in his Mid Term Budget Statement (MTBPS). But he made no choices. All decisions were postponed to later. On the one hand, the Minister and the MTBPS document provided a shocking account of the deep economic crisis facing South African society – reflected in the projected rise to over the benchmark 60% debt to GDP ratio by 2021/22 or the R50.8bn revenue shortfall in this budget year and rising. On the other hand, what measures the government is going to take are shrouded in darkness, except for Mr Gigaba’s signalling that the government remains committed to its failed economic policy. Let it be clear that the South African economy hasn’t been hit by a natural disaster. It faces the outcome of a distinct economic policy, which now threatens our sovereignty. Trade liberalisation, relaxation of capital controls and the fixation with an extractivist development (mining, fracking, oil drilling in the sea) have laid the economy bare, open to shocks coming from the world market. With an increasing budget deficit and retention of a miserly expenditure ceiling the doors are opening to an IMF bail-out. 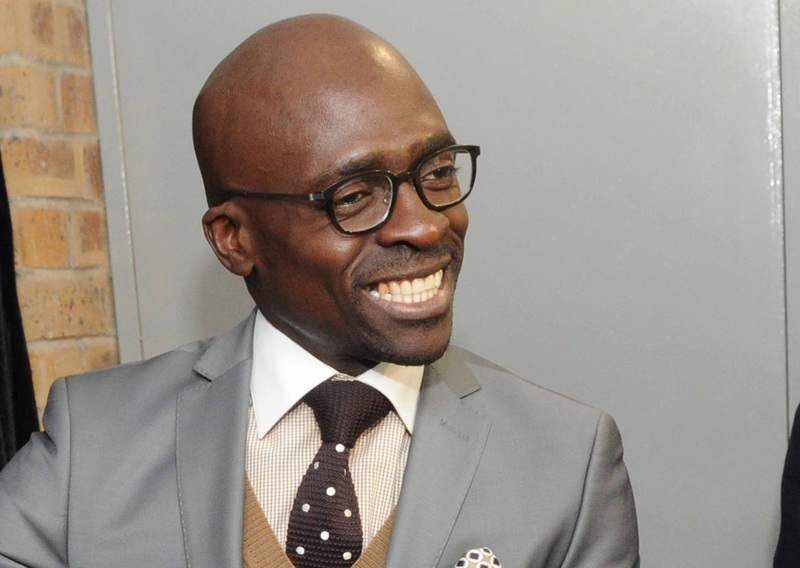 The corporate friendly phrases in Mr Gigaba’s speech signalled that there is no plan B. In February 2018 we can expect harsher austerity, meaning cuts in social spending rather than tax increases for the rich and empowered corporations. Gigagba’s quoting of President Zuma in the speech when talking about nuclear power must been seen as keeping open the possibility of signing a deal with Russia. This disastrous move might already be confirmed before the Finance Minister presents the 2018/19 budget in February. The only thing lacking right now is for the Zupta cronies to consolidate their control over the ANC and the state before making this move. The present debt crisis connects back to the debt of the militarised and corrupt apartheid government. With the Zuptarisation of the state-owned enterprises (SOEs), the demand for the cancelling of odious debts must be seriously raised again. AIDC demands the establishment of debt audit commission made up of eminent academics, trade unionists and civil society representatives that will audit the public debt including all SOEs. How much of the debt now pressing the fiscus is odious debt? How much of the debt is owned to companies in the Gupta sphere? What needs to be examined is how much of the debt involves companies like SAA and Eskom, for which the government must stand as a guarantor, how much has been created by the disease called State Capture, such as the R70 billion loan to Transnet from China. All these loans must now be scrutinised independently of a government that is marked by corruption and graft to its core. If they are the result of illegal deals and corruption they should be annulled. Ever since the crisis first hit in 2008, AIDC has warned that trickle down economic policies based on economic growth is illusionary. Growth this year was revised down by almost half, to 0.7%. To stabilise society the government must prioritise redistribution from the rich to poor. 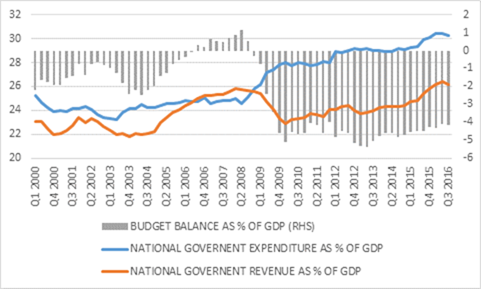 Instead the Mid Term Budget signals clearly – but does not spell out – that tax increases for the rich and corporations will be timid, if it materializes at all, but that cuts in social grants are more likely. If the government wouldn’t be hell-bent on a mega project, but used its money wisely and in a socially responsibly way, a 4.3% budget deficit would not be a problem for an accountable and democratic state. Given that South Africa faces a multifaceted crisis of both the economy and its environment, not to speak of a massive social crisis under which the social fabric in society is collapsing Plan B is urgent. This should involve higher levels of state investment to drive a wage led, low carbon development path capable of creating decent work and re-industiralising our economy on a sustainable basis. To halt this crisis, social investments and investments in renewable energy are necessary. The alternative is to the march over the cliff where economic and social disaster awaits. Indeed the debt matter it need an audit asap. The guptas, they made this country as their looting basket.